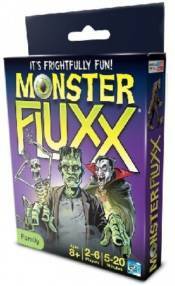 Fluxx features New Rule cards that change the rules of the game, Goal cards that change the object of the game and Action cards to create some chaos! Match your Keeper cards to the current Goal to win! Just when your opponents think they�ve got you beat, you change the rules and win the game.